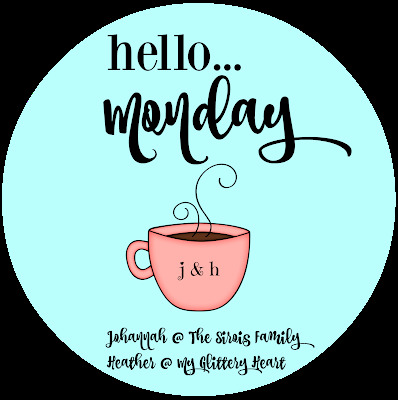 Hello, Monday! I hope you guys had a great weekend! As usual, I am going to recap our crazy busy weekend. 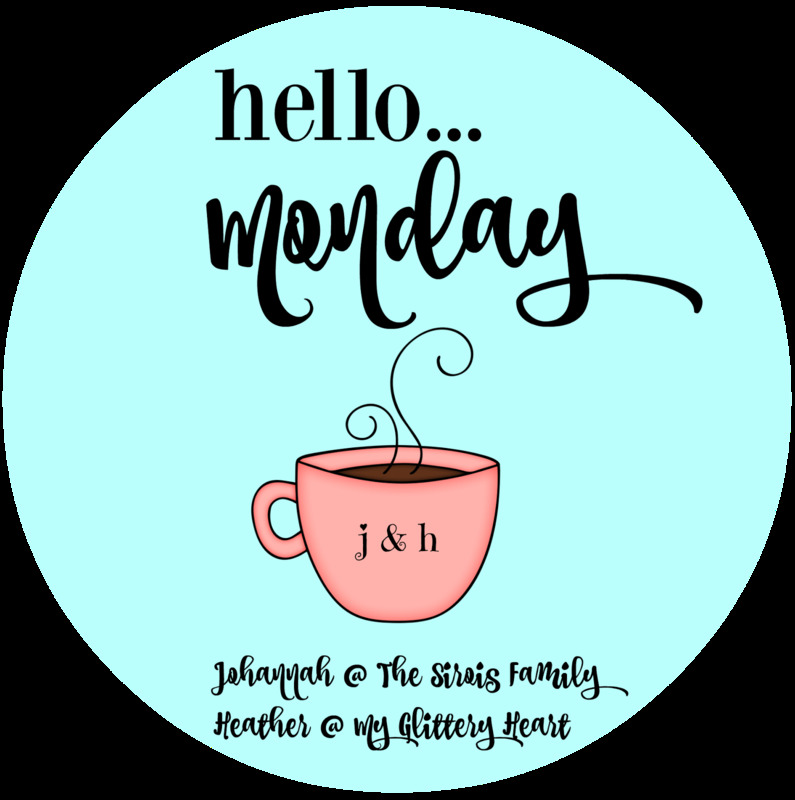 I hope you will grab our graphic and join us for Hello Monday!! Friday started off running errands but first shakes on the way to school. The rest of the afternoon working on Etsy orders and a workout! Then we went to dinner to celebrate my mama!! Look at Candace's baby bump! I loved that they played Kip Moore on the show! I announced a giveaway that I hope to be hosting soon! As soon as, I reach 1,000 followers on my Oh My Glitter IG! So make sure you follow me!! Lots of awesomeness from some of my favorite makers! Wooden heart sign from Robyn at PinkRobynDecor. Medium pumpkin from The Little Green Bean! Water Tracker water bottle from That Inspired Chick! Hello Pumpkin Spice from ME! Ella and I went antique shopping with Stephanie, Addison, and LaneyBrook!! We had a blast! Ella went home with Addison and I went to the golf course to cheer this guy on! Meanwhile, Ella was living it up with the girls! After the tournament, we meet The Smith's for dinner at Johnny's Pizza!! Sunday morning, my guys headed to the golf course to hit range balls, Ella slept in and I did household chores!! Ben spent me a picture of his view. I went to the grocery store and Kirkland's. Then it was time to head to the golf course with my shake to cheer on Ian! Ella's idea of riding in the golf cart! We were waiting on Ian to come up the faraway, so we took selfies! The rest of the evening consisted on blogging, chilling, and binge watching Hart of Dixie! oh and a few loads of laundry!! Happy Monday Friends!! Today should be CRAZY! We are in the path of the Eclipse. Schools are even letting out 30 minutes later!